These are photos I took last year in El Yunque National Park in Puerto Rico. 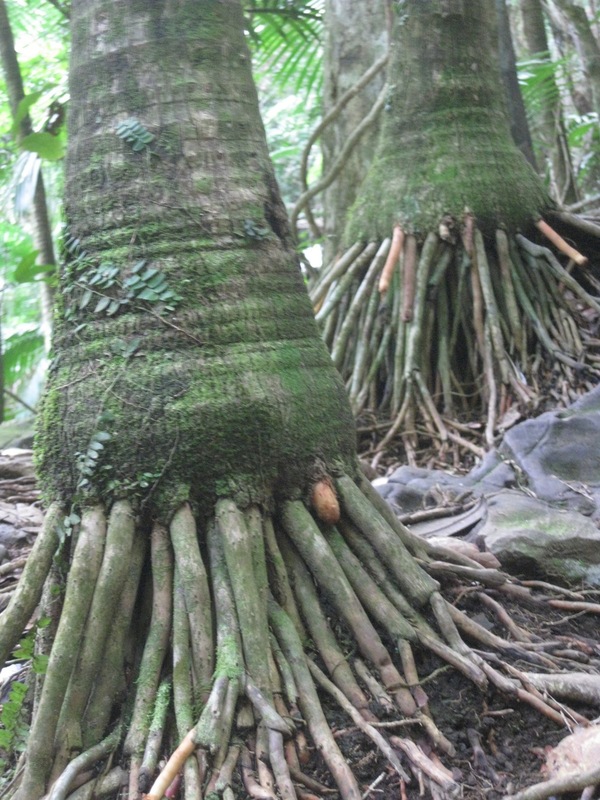 The trees looked as though they might scurry about on these odd root clusters when the humans aren't looking. I read that Palm Trees are more closely related to grasses than they are to their other towering counterparts. They do not grow rings as they age, they simply grow taller, and Palms lack the tree like ability to "seal off" a damaged area in order to resist diseases or death. These root images certainly bring to mind the stubborn clumps of shrub grass I pull from my garden each spring.